Dewatering unit, is also named as chemical dosing system, is widely used in waste water treatment and oily sludge treatment. The right and suitable chemical dosing is the core point of for a better separation result of oily sludge separation. 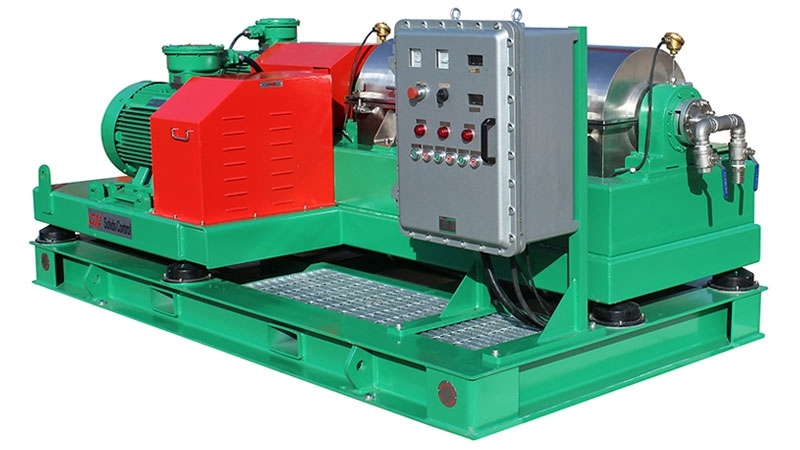 The function of a chemical dosing dewatering unit is too treat the liquids to make it easier for next-step equipment process or improve the separation performance. 1) The first chemical dosing unit is a 3-tank automatic power Polymer Mixing System. The chemical mixing tanks are made from stainless steel for longer lifetime. The 3 tanks are connected to each other on the top, each tank is equipped with an agitator to help for mixing. Control System for automatic continues operation. Operators can set the time for polymer mixing and dosing. During the chemical liquid flows from the 1rst to the 3rd tank, the chemicals will be quality for used. Then from the 3rd tank, the quality liquid chemicals can be transferred for dosing. 2) The 4th tank is a stainless steel tank with agitator for another chemicals mixing and dosing, it can be used to mix coagulant for treatment. The previous design is with a separate Polyethylene tank. 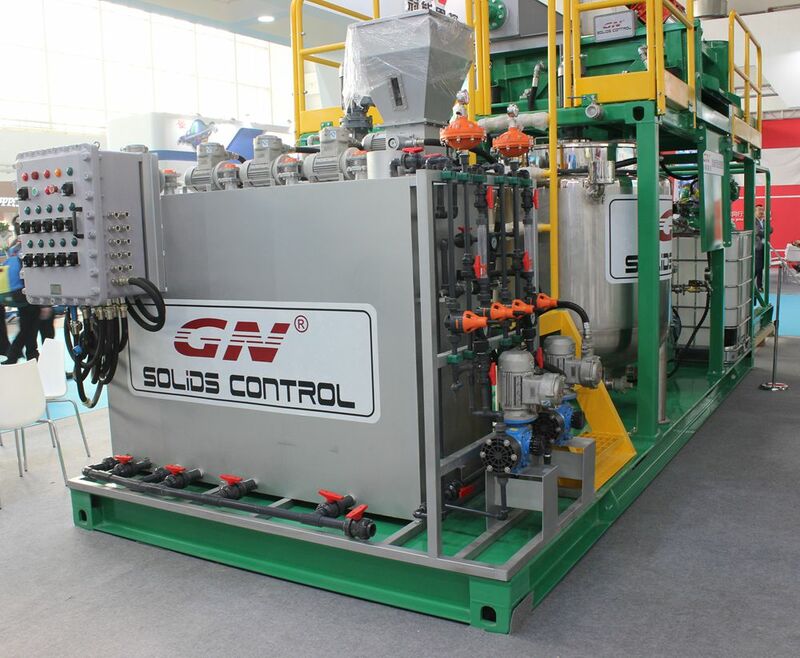 GN Solids Control update the design to combined together with the PAM mixing system. In this case, the total design is more compact and the material standard is higher. And it looks much nice now.